The WWE UK Tournament 2018 ran last week, being pre-recorded at the Royal Albert Hall then released the following week so they could edit out the effing and blinding from the foul-mouthed Brits. 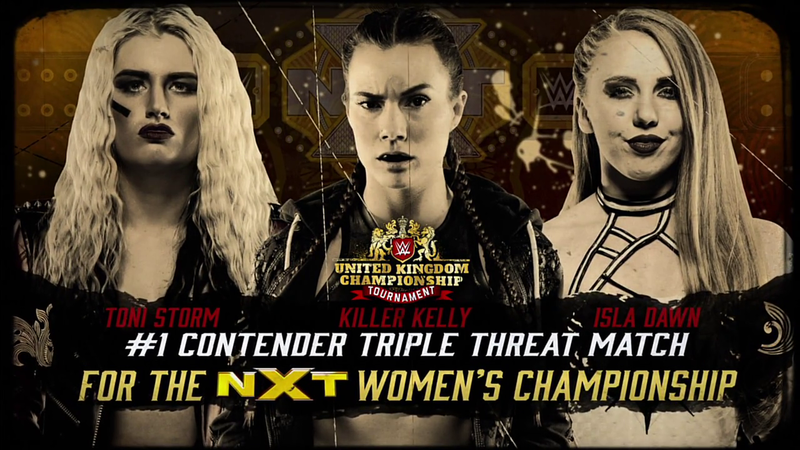 One thing that slipped the gap was the announcer calling the Women’s Match a Four-Way when the graphic made it clear it was a Triple Threat Match (the number of participants being a dead giveaway). This was due to the original match being a four-way involving Jinny who sadly got injured mid-way through so they re-edited it like Blade Runner but forgot to remove the announcer. Sadly Jinny didn’t make an appearance on the Network so here’s a plug for her Twitter instead.